A happy welcome to the visitor to this extraordinary town, one of the Tuscan purest gem, still untouched and preserved by its medieval walls. The town has kept the entire charm because it has always jealously guarded the traces of the past, its commerce tradition and civic pride. The urban fabric studded with palaces and churches mirrors its history. It is the place where to spend a few days’ holiday. The accomodations offered by Tuscany Holiday Rent are various and interesting. You can choose a holiday apartment in a 18th century Tuscan villa in the luxuriant nearby countryside or a rental apartment in Lucca, right in the centre of the town in front of its walls. You will be able to take part to the” Settembre Lucchese”. Like every year, the town council organizes events of different kinds in its historical center and in its immediate surroundings. 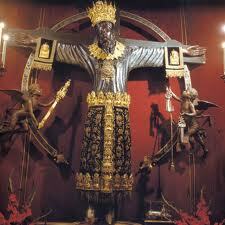 The clue is the festival of Santa Croce on September the 13th. The Luminaria is the solemn procession celebrating the Volto Santo, the wooden crucifix of the Cathedral. The legend says that the sacred image was carved in Lebanon cedar by Nicodemus, who meant to hand down Christ’s countenance. Among prayers and hymns the people wind through the medieval streets from the basilica of San Frediano up to the Cathedral. The evocative setting easily involves the beholder religiously, nightlights and candles are, on the occasion, placed on the facades of old palaces and on the windows of ordinary houses as well. The sacred in its devotional attitudes is at its height. Nevertheless the profane is not missing, the procession will be ending up into fireworks. The following day the locals are requested by the tradition more intimate and private moments. They will head to the chapel of the Volto Santo to offer their prayers. Historically Lucca has always characterizes itself for the religious feeling. It is easy to bump into churches either gorgeous or simple, at any corner of its narrow streets. Strangely enough, devotional attitudes mingle with more secular ones. 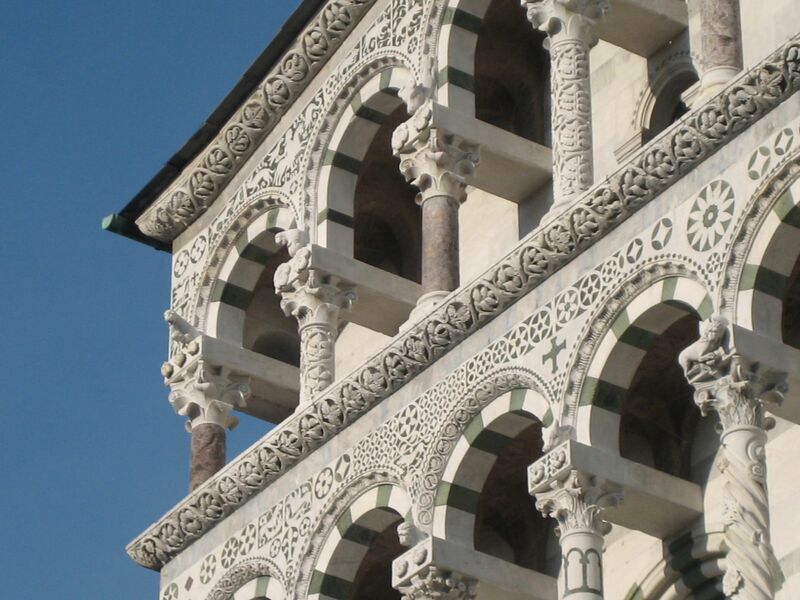 Lucca has never forgotten its manufacturing past, its richness based on wool, silk and banking. The rich merchant class favoured its entrepreneurial growth which allowed, between the 14th and 15th centuries to lend money to European sovereigns. Much of its strong merchant view of life is still surviving today. Thence the many fairs and markets inside the Settembre Lucchese such as the livestock fair in Monte San Quirico or the bird show, the market in Piazza San Michele, displaying the best of Lucca typical products of the short supply chain such as extra-virgin olive oil, DOC wines, honey and farro. 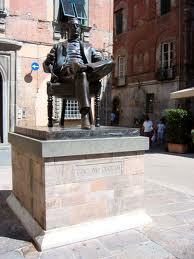 At the same time, on this day Lucca can’t forget its most famous citizen, Giacomo Puccini, born here in 1858. The composer is celebrated in the event called Il Maestro torna a casa, following the new restoration of his apartment in Corte San Lorenzo, number 8. Here Puccini lived his first years of musical training, before leaving for Milan. 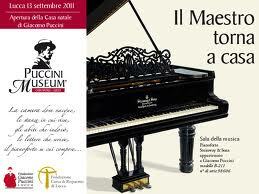 The site is very evocative because of his precious Steinway & Sons piano on which Turandot was composed. Autographed compositions, letters, paintings, photographs, sketches and other valuable documents enhance the spirit of the place. Puccini has always kept a special affection for this house in spite of his other numerous residences in Torre del Lago, Boscolungo, Chiatri, Orbetello and Viareggio.